Freestanding foot manufactured from durable plastic. 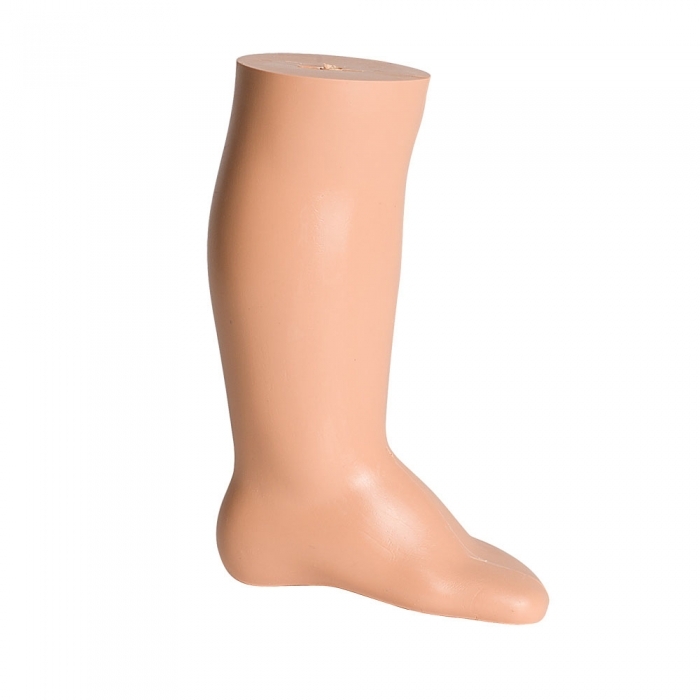 Skin coloured mannequin baby display feet which measure 200mm from bottom of the foot to top of foot & 120mm in length, approx child shoe size 6-8. Natural stance and good stability. Fabric can be tucked in at the top as there is a hole to hide excess. Perfect for merchandising socks or footwear in a retail environment. Suitable for longer sock displays. I use this to display children's socks, both in exhibitions and also for product shots. Good quality product - only left foot - displays product excellently.